This cute 10 inches lion will make your loved one scream with joy. Grab Ed the Lion now! 10" Ed the Lion is made from high - quality, huggable plush material Each order comes in a special greeting card. 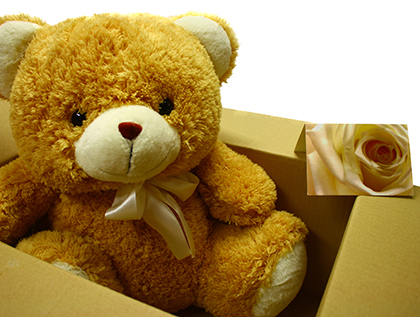 Each cuddly stuffed toy is packed in a thick, transparent plastic which is tightly sealed with a tape and ribbon. It is then placed in a sturdy shipping box to get your gift safely to its destination. Let our nice post card style greeting card deliver your message of love. This can accommodate about 50 words to express your deepest affection.